Wolverine's son continues to plot and plan, with all the puzzle pieces starting to fit together in this great issue of fun dialogue and clever plotting. 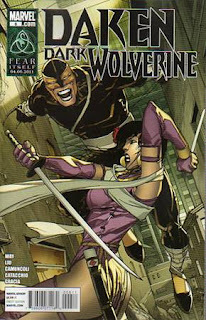 It will be a shame when Daniel Way and Marjorie Liu stop writing Daken after the upcoming crossover with the X-23 comic because they do such a great job portraying him as both charming and a sleazeball. Daken is also one smart cookie, with it being clear he is always thinking 2 steps ahead of everyone else, working to achieve his goals--which we the reader still aren't quite clear on. From his interaction with Tiger Tyger's group to the fun plan everyone hatches to get some secret ledgers from evil bankers (are there any other kind?) this is just as my title says, been good fun so far. 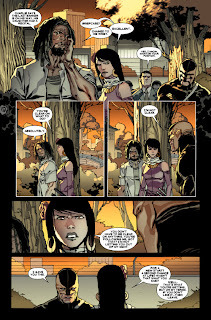 This is labeled as part 3 of act 2, but the first part's visit to the Fantastic Four didn't seem to tie into the story until this issue, and it seems that part 4 is the prelude to the crossover with X-23, which by the way I am annoyed about because I don't read X-23 but will need to be picking it up for two issues so I can continue enjoying Daken's story. I know, I know, the same great writers are one X-23 as this comic, but I just don't care for X-23 too much other than some good mini-series she had. I don't know why, she just isn't that great to me, but I digress. 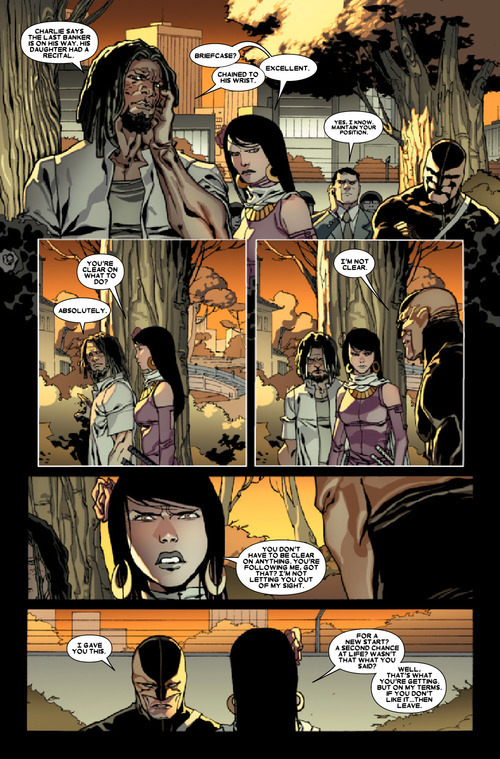 Start picking up Daken if you want a super-hero comic with some intrigue and a protagonist that isn't quite a complete bad guy, but definitely isn't good.